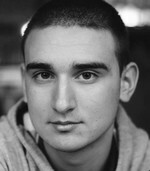 Petar is a Bulgarian journalism student finishing his degree at the University of Wroclaw. His burning passion is football, but he also shares a keen interest in both international relations and Polish culture. Petar can be typically seen in bars in or around Ruska street, or in the gym performing some quirky exercises.